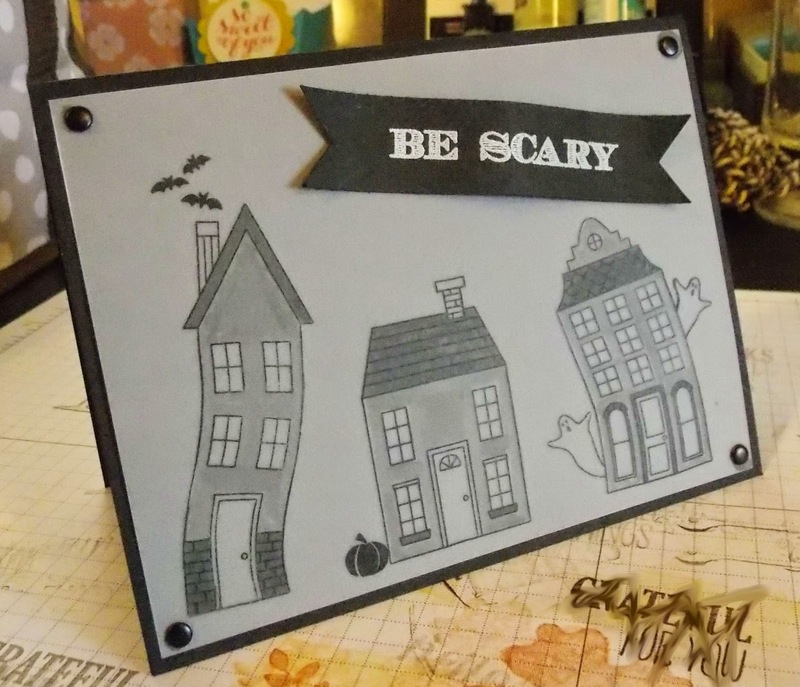 First off, thanks so much for all of your kind and uplifting comments from the blog hop. It truly was a wonderful experience. Today I want to share with you 2 cards that are similar but intended for very different holidays. I used the Holiday Home stamp set and the Holiday Invitation stamp set on both cards. Hopefully this will help you see how 2 stamp sets not intended for each other can blend beautifully! The first card is meant for Thanksgiving, or really any time in November. I love that about Fall; people are always so thankful for everything. It's such a beautiful time of the year. Nice, right? The next card is meant for Halloween. Who doesn't love candy and dressing up? I know I do. 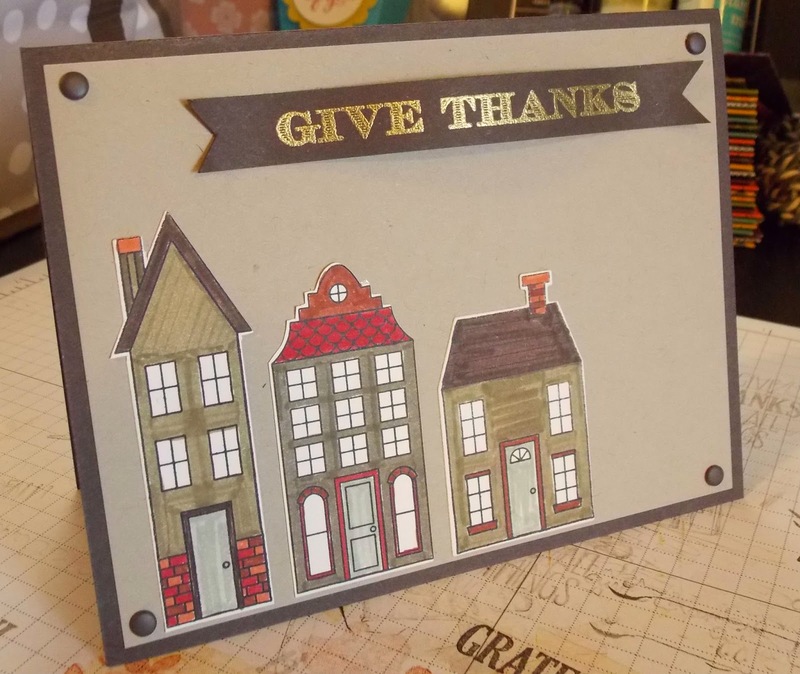 This cards is unique in that all the stamping and coloring of the houses was done on vellum. Well that's all I have for you today! I hope you found some sort of inspiration (even if it's in the background of my photos, haha). Have a wonderful day! These are super cute! So simple and adorable. I love the thanksgiving color usage. And that bow. That just makes it for me. So sweet!